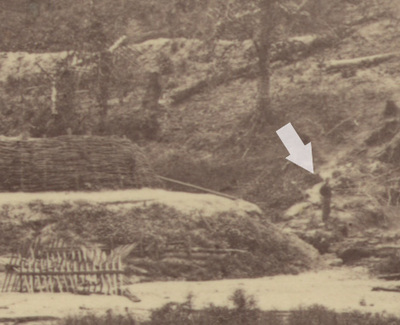 Photographer Timothy O'Sullivan and his assistant exposed at least twelve stereo images in the vicinity of Colquitt's and Gracie's Salient in April 1865. O'Sullivan seemed intrigued by the complex architecture of the fortifications and moved the camera to capture interesting details. All of these images can be tied together through internal evidence, some of which is highlighted below. This map features a layer of what we call the "Michler manuscript map" (LC cw06072001), surveyed and drawn by Union engineers shortly after the war. It is overlaying a hillshade, computed from modern elevation data that clearly shows, among other details, the surviving fortifications as they appear today. The approximate locations of O'Sullivan's stereographs are inidcated on the overlay. LC 12607. 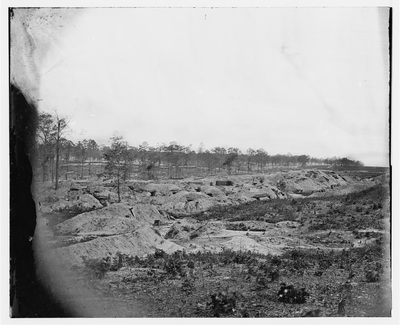 "Interior View of the Confederate Line at Gracie's Salient," negative by T.H. O'Sullivan, positive by A. Gardner." This image was taken from behind Colquitt's Salient and looks south into Gracie's Salient. Poor Creek traverses the foreground. The Petersburg & Norfolk R. R. cut is on the far right. Gracie's Dam on the left. A man poses next to the dam. LC 03644. 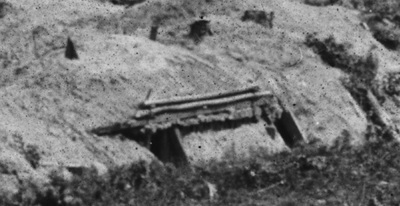 "Confederate fortifications at Gracie's Salient on the Petersburg line." This exceptionally clear image (referenced here as 03644) is a close variant of 12607. The camera position has shifted by a dozen feet and there is no person in the distance. This image has not been attributed to O'Sullivan in the Library of Congress. LC 00525. View looking southeast into rear of Gracie's Salient from parapet of Confederate four-gun battery. Railroad bed is the white streak in the middle ground. 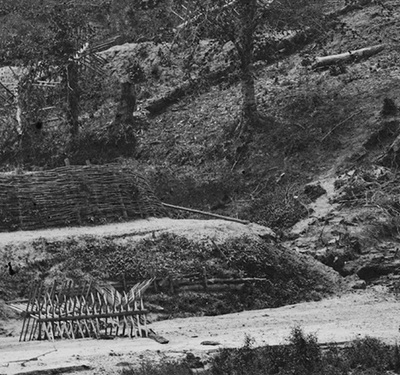 Two photos (00528 and 03624) by Timothy O'Sullivan stitched together to form a pseudo-panorama of the interior of Gracie's Salient (with bonus view of latrines). Details visible in the distance of stereograph (LC 03624/01322) under magnification. LC 00514. Stereo image looking east into the railroad cut at a double bombproof pointed out above. 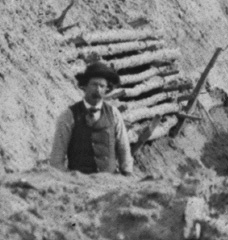 Timothy O'Sullivan is standing in the left doorway. LC 00523. Stereo image taken from the head of the covered way that led down into the railroad cut. It looks almost due north into the rear of Colquitt's Salient, the Appomattox River is in the far distance. The double bombproof is visible in rear of the row of four gabions. LC 00524. Stereo image taken behind and above image 00523 and shifted about 30 degrees east, showing the rest of Coquitt's salient and a glimpse of Fort Stedman in the far right. The row of gabions and double bombproof are less obvious. The top of Gracie's Dam is also visible. LC 00522. 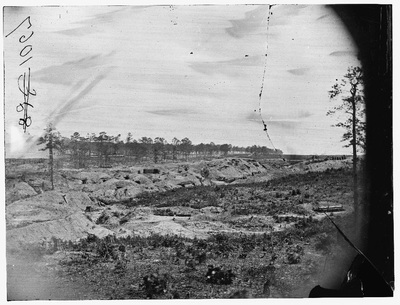 Stereo image looking north toward Colquitt's Salient. 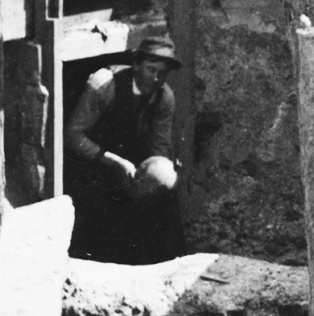 O'Sullivan's assistant is posed in the doorway of a bombproof in the foreground. The sluice gate for Gracie's Dam can be seen above him and to the left. LC 00521. Stereo image taken in the railroad cut looking south. The original level of the railbed is the ledge fronting the bombproof on the left. 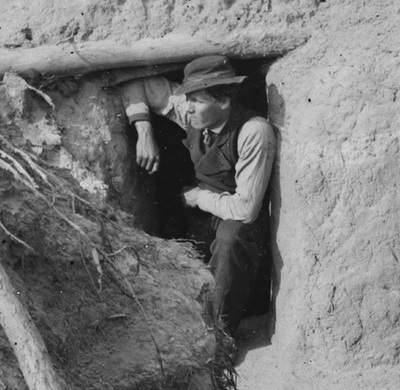 The floor of the railbed was excavated another ten feet then roofed over to provide a large bombproof with a tunnel entrance at its rear. The superstructure was then demolished. O'Sullivan's assistant is posed in the tunnel entrance. LC 00526. Stereo image taken from a slightly different camera position than the above image. The nature of the tunnel is unclear. 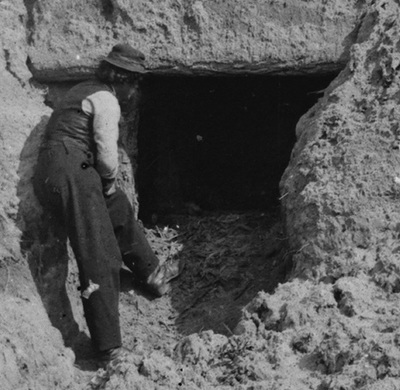 It may be the entrance to "Gracie's Mine" that is mentioned and described in several Confederate accounts, or possibly a ramp to access the trenches above the cut. 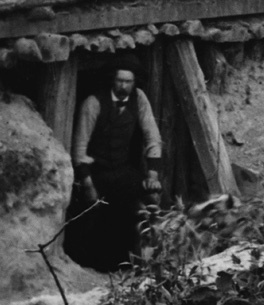 O'Sullivan himself is looking out of the tunnel entrance toward the camera. LC 00520. Stereo image of Gracie's Salient. 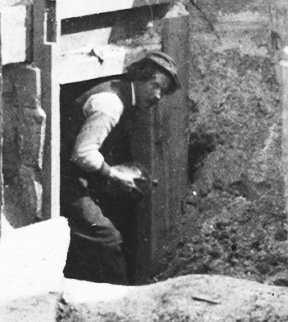 Timothy O'Sullivan posed in the doorway of a bombproof. LC 00525. Stereo image inside Gracie's Salient. Timothy O'Sullivan posed in the middle ground. Taking a cue from cameraman Matthew Brady, O'Sullivan or his assistant appeared in many of his photographs, serving as a marker, a "trademark," if you will, of authenticity. Sometimes, the two men exchanged positions in sequential images. Not all of these images have been attributed to O'Sullivan, but, barring further evidence, should be.